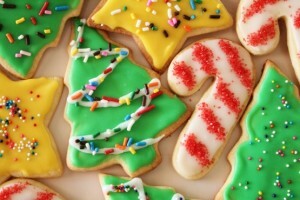 Now that the holidays have arrived, this week’s post is thinking about FOOD! So without drooling…share a favorite recipe you and your family absolutely love. Perhaps, it’s a recipe that your grandma passed down. Or maybe it’s something you and your family make every special occasion. It can be a holiday recipe, or just one you enjoy on the weekends. You can interview your family member to get more history if you need to. If you family doesn’t cook together, find a favorite recipe online that you would like to try. To post, you need to TYPE IN GOOGLE CLASSROOM FIRST, THEN COPY & PASTE TO EDUBLOGS! Write 1-2 paragraphs describing what is the recipe, and WHY you chose it. How is it special to you? Copy and paste (or retype because of formatting) the entire recipe. Don’t leave any steps out! That can make or break how it tastes! Include a photo, and be sure to give credit. Last week was Thanksgiving, and I hope you enjoyed some time with family and friends. To continue that idea of “togetherness,” this week’s topic is community. What type of communities or groups do you have either in school, outside of school, or both? Think about some of these questions. You may want to include some of these as you describe your post. What is your “part” in your community group? What do you like about your group? Dislike? What group might you want to be part of later in life? How does your group affect others around you? Write a SEPARATE post on your blog mentioning who you visited, which post you left a comment on and why, then include the comment you left. Hint: make sure you copy the comment before you hit the submit button. You can also do one at a time, “save” your draft, and come back to add another copy/pasted comment as you visit each site.Here are some examples from previous students in the challenge: Allegra but try to include a link to the actual post you left a comment on, Meghana who has linked to both the student’s blog and their blog post where she left the comment. Last week, our class came back from a two-week Fall Break vacation. Now that we are back, we are jumping right into the Student Edublog Challenge presented by Miss Wyatt (or Miss W online). If you are visiting our page for the first time, welcome! Our class actually had a head-start introducing ourselves way back in July/August when our new school year began. Please feel free to visit the student blogroll to read about our 6th grade students. We are excited to share our stories and connect through comments. If you are a student commenting, please remember to include your web address in the comment post. That way, we can visit your page, too. 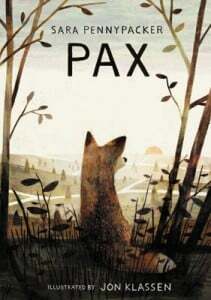 To e xtend our global connections, we are also reading Pax, by Sara Pennypacker as part of the Global Read Aloud. It’s not too late to join in, and students may be posting their thoughts on the book here, as well. 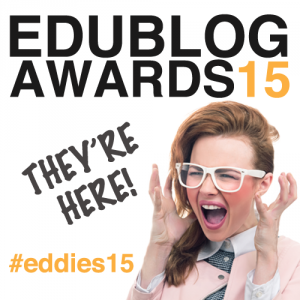 Edublog Award – Asking for your vote! Our classroom has been so fortunate to have been nominated this year in the Student Edublog Challenge- Best Class Blog category. I am extremely excited and honored, since this is the second year our class has received any kind of nomination. 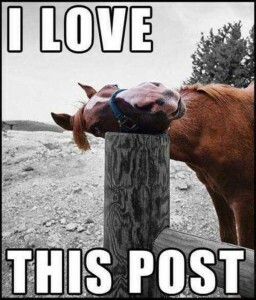 There are so many great blogs out there, so this is a real treat! It’s also so encouraging, as a teacher, to know others like me are promoting writing for the 21st century in fun and creative ways. I often feel guilty for not having more time to read through as many blogs I can. I know I need to work more as a better blog mentor. However, just learning a bit from other countries is an inspiration! Whoever is out there…I speak for my class that we thank you for your vote. Keep reading and writing, and communicate with the world! You can vote for us until December 16th: mrshughesclass.info under the Best Class Blog downdrop menu. Math > We’re halfway through Module 3 about Integers & Rational Numbers. Students seem to be picking it up fairly quickly, yet still need work explaining & justifying answers with clear vocabulary. Students can look to their notebooks and pictures taken on Schoology for guidance. Language > We are well into The Egypt Game. We continue to write summaries, identify characters traits and connections to the story’s tone through the author’s word choice. 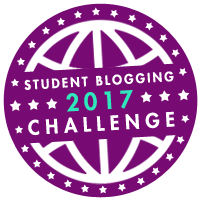 Students are also deep into the Student Edublogs Challenge, with about 4 more weeks to post to a larger audience through their personal blog. 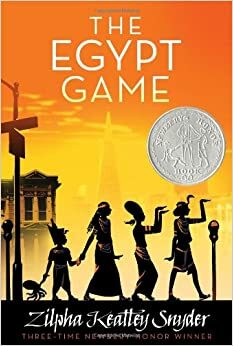 Social Studies > Using our language unit as a springboard, the class has learned more about Ancient Egypt, culture, religion and practices. Students also continue to develop strong informational writing. Look for them to culminate the unit in December with a Gallery of Experts project. Science > Our first field trip to the Living Coast will be Monday, Nov. 16th. This will tie into our quarter unit of Life Science & cellular biology. The class has learned from the basics of cell structure, to organ systems and plant & animal adaptations. We will wrap up this unit in December with a study of the brain, and reading excerpts of a book about Phineas Gage, a man who survived a severe brain injury. Dec. 9 & 10 – VAPA Showcase– 6th Grade’s showcase will be Thursday Dec. 10 from 6-6:40pm. Your child will have art on display and will be doing a dance performance! Please come! I am so excited to report that our class’ DonorsChoose project “Find Me a Treasure” has finally been funded!! On Veterans Day, AT&T made the generous donation of covering the difference of my proposed project- nearly $700 worth!! So, hopefully within a few weeks our class and others at Camarena will be able to learn the sport of geocaching with our new GPS units. Again, thank you to all who helped in any way they could. 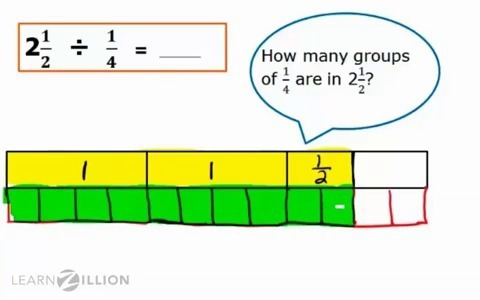 Math > Module 2: Division of Fractions– Next quarter will be devoted to learning division o f fractions. We have already started this week, so your child should be taking good notes of visual models. Several links to photos of worked examples can be found on their Schoology account. You can help your child by having him practice his multiplication facts for speed. Flash cards or their worksheets in the plastic sheet protector can aid in this. 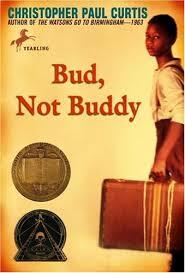 Vacation Homework / Language > Bud, Not Buddy Vacation Homework (mandatory)- Students will need to complete a cereal box craft project about the last six chapters of the book we read in class. Digital cop ies of the book can be found online, and students know where to find this link. Paper copies will be provided for those who have asked in advance. Your child should have a complete description of the assignment with a rubric, which was passed on earlier this week. Likewise, digital copies are on Schoology to download. As far as any other vacation homework...I will NOT be assigning any other mandatory language or math. However, your child has online access to Achieve3000 and TenMarks for practice as needed! Some students may be getting homework passes for making these efforts! Writing > Next quarter, we will be participating in the global Student Blogging Challenge 2015. This is an exciting opportunity for your child to get aglobal audience reading their work! Last year, we connected with a few middle school classes inAustralia and New Zealand. We hope to do the same this Fall, and make even more friends. We could be lost! – Finally, our DonorsChoose Project: Find Me a Treasure just needs $600 left to bring GPS units to our classroom. Time is ticking! The deadline is November 13th !! We intend to share these with all of the Camarena campus onGeocaching walks. If you would still like to donate, please visit the link here. Or please pass this onto your social networks or places of business. I would be so grateful! 6th Grade Camp – A reminder that the YMCA Health History forms may be filled out (possibly needing a doctor’s signature) and returned anytime between now and the end of January. Camp payments are now being accepted. We will have one fundraiser to help with your $275 camp fee. Flyers for Butter Braid pastries will be distributed when students come back from the Fall Break. 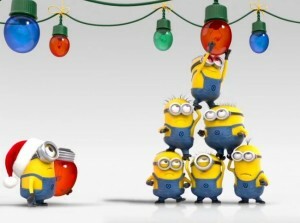 Have a wonderful, rested break with your children! See King Tut! > If you don’t have plans this weekend, the San Diego Natural History Museum is hosting “Walk Like an Egyptian Day” to celebrate the King Tut exhibit going on now. The family evnet is Sat. Nov. 15th from 11am-3pm. See this link for more details. This would be a great way to connect the social studies lessons your child has been learning in Mrs. Mabe’s class. Winter Wonderland Donations > If you are willing and able, our class and the PTA would very much appreciate any items to go towards our classroom’s “Science Experiments” themed silent auction basket. 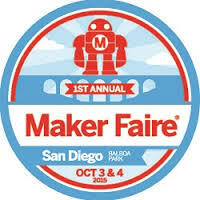 Sign-ups and suggested items can be found at this Google Form link. Anything would be appreciated to represent our class. Thanks in advance. Math Modules > We are almost halfway through our third math module on Integers and Rational Numbers. Your child should be prepared to take a post test on this module the first week of December. Emphasis has been on clear, precise sentences to explain reasoning. 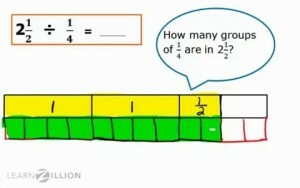 Please quiz your child, verbally, by asking how they know the answer is correct. This will build their analyzing skills in math. Blogging > Students continue to write short responses on their personal class blog. Please feel free to visit your child’s website and leave a comment on something they’ve posted. It will maketheir day to know they have an audience! With this week being busy with Red Ribbon Week activities and collaboration time, we won’t have as much time in class to type on your blogs. SOOOO, you need to be responsible to take care of the posted activities by Friday. You have ONE activity to complete this week- #1. If you get done early, you may do the second one listed for fun, and keep you followers entertained. These activities relate to where you live, OR where you may want to live! You have probably a bit of evidence of where your international blogging friends are from. However, what do you REALLY know about your city or state? Challenge them with some questions about us. If you could live anywhere in the world, universe or world of books, where would it be and why? Cite specific evidence, not just because “it’s cool” or “it’s fun” Help your readers understand why. Paint a picture for the reader. Adding images are helpful. Get your readers investigating. Come up with at least 5 quiz questions about Chula Vista OR California that you could ask your overseas visitors to answer. (For example: What are some amusement parks to go on vacation? Where is the best place to view animals/wildlife in your state? Where is the best scenery in your state?) You need to have some answers in mind. Remember to ask readers to leave their comment/answers, as well as the URL of their own blog so you can reply if they are correct. Post are due FRIDAY, OCTOBER 31st…how frightening!